When I was growing up in India, letters with a foreign stamp were exciting, a window into exotic worlds. And every week, a thick envelope from Canada arrived, from my mother’s penfriend, Barbara Redlich, to whom she had written for decades, but never met. Barbara was Austrian, and in a letter I’ve kept, wrote, randomly, about growing up in Austria after the Second World War. Everything was rationed; everything was scarce, even food. And, oddly, exercise books. So schoolgirls wrote small on the line in blue ink, then coming to the end of the page, turned the book upside down, and wrote in black ink on what was left of the line. A random little detail, but how it fascinated us. We followed Barbara’s exciting life, week by week. She never married, but lived with another woman. Lesbians, I now surmise, but such a thought would never have crossed my mind then, or my mother’s, though my urbane father would have realised it. She and her friend/partner travelled the world, sending us photographs of the Victoria Falls in South Africa, and SA’s amazing botanical gardens. Immigration to Canada opened up the world to her. He qualified as a Chartered Accountant, and then worked for Tubbs Clarke and Co., Chartered Accountants. While he liked his boss who was fair-minded (and hired him after all!) he realized that he would always be held back by the petty racism of the English. When an audit was requested, he heard his boss pre-emptively explain, “One of our accountants is an Indian. Do you mind?” Some did not. Some did. “It’s always best to ask,” his boss said, apologetically. My father’s epiphany: “Why be a second class citizen in someone else’s country when you can be a first class citizen in your own?” He was now Controller of Accounts of India’s largest company, Tata Steel. We had a luxurious life. No way was he leaving to start again from scratch. Any emigration to be done had to be done by us. My sister emigrated to the US in her early twenties and stayed there. I came to England, to read English at Oxford, moved to America, stayed there for 17 years, then moved back here 9 years ago, and am now a dual US/UK citizen. Why am I telling you this? The same instinct that made Barbara Redlich and my mother write to each other weekly for decades, though they had never met each other. 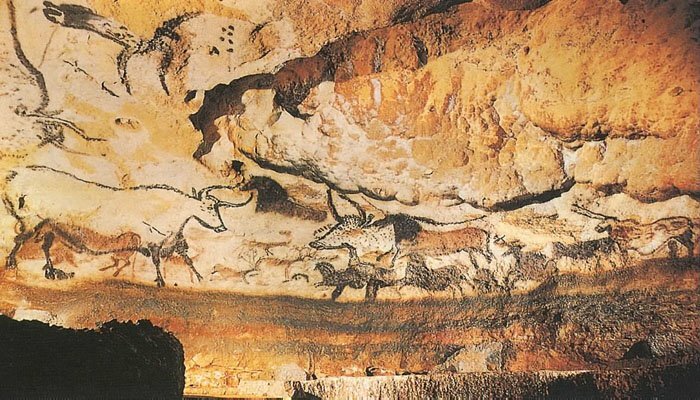 The instinct to record, share and preserve our lives, a human instinct since the cave painters of Lascaux. Few people today have the time or energy to record their week in long, beautifully written letters which help them see the beautiful, the noteworthy, and the art in their own lives. But facebooking stems from the same instinct, as does blogging. In post after post, we record our thoughts and lives and read other people’s. Will you be my penfriend? Indeed, Anita, you have many penfriends. In the US of my youth, we called them “pen pals”. Our letters in 4th grade were so simple, yet so open. Our school wrote to Catholic kids in Vietnam and Korea. They rarely wrote back, but it was still fun knowing our letters were being read halfway across the globe. LA, you are the penfriend from whom I learn the most! It is really interesting to hear more about your personal history, Anita, and get a fascinating glimpse behind the scenes. Letter writing is rather a lost art form and that’s quite sad. During recent times when I have been more housebound, I have loved receiving cards from friends. Meanwhile, social media and blogging help us to stay in touch, connect and communicate our activities and thoughts with ease. Sometimes one feels that hesitating, pen poised in hand, might slow down quick-fire responses that we may regret once they are ‘out there’ for the world to see. I love to read and communicate though. So, yes, it would be great to be a penfriend! Yes, I think words lose power when they are written hastily, without much thought, and the most powerful words come from much thought. Great post! I’d never thought of the similarity between writing to penfriends and blogging before. You’re right. I used to love writing to penfriends when I was young, and had around 20 at one point, all over the world. Now social media caters to that same urge to share the day-to-day with others. Wow, 20! That’s really impressive!